Celtic boss Neil Lennon said recent events have cast a negative light over his team's performances but that "our fans remain the best in the world bar none". Lennon added: "Our supporters are the best in the world bar none & nothing will take away from our great reputation throughout the world." 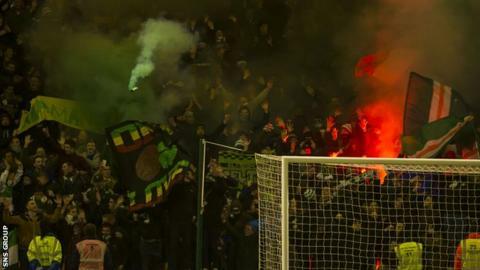 Assistant manager Johan Mjallby earlier insisted Celtic had to take firm action against the fans whose behaviour marred last Friday's win.